India has beaten Pakistan in cricket, but in another field - cricket diplomacy- both India and Pakistan are winners. Prime minister Manmohan Singh and his Pakistan counterpart Yousuf Gilani got to talk to each other for an uninterrupted eight hours, over cricket and dinner. Which diplomatic forum could have given them such a chance to get to know each other better? After all, it was one look into Singh's eyes that allegedly convinced George W Bush that India would be a reliable nuclear partner. 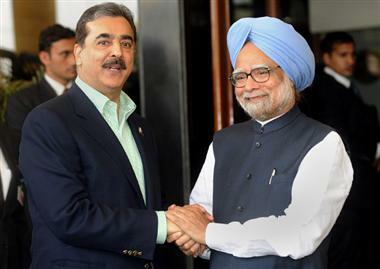 Singh, who was born in what is now Pakistan, has always pushed for better relations between India and Pakistan. In 2005, one year after he became prime minister, Pakistan's so-called CEO General Pervez Musharraf wanted to watch a game of cricket in India. From Parliament Singh invited him to an India-Pakistan encounter at Delhi's Ferozshah Kotla. This was Singh's first attempt to reach out to Pakistan. It would not be his last. One year after the Pakistan-sponsored attack on Mumbai in November 2009, Singh called for "engagement and dialogue" with our western neighbour. He's been firm in his belief that a stable and prosperous Pakistan would be infinitely preferable than a crumbling state brought to its knees politically and economically by terrorism. Singh is not alone. Every Indian prime minister since Rajiv Gandhi has tried for better relations with Pakistan, despite many failures. Indeed the peace with Pakistan bug - call it aman ka nasha - is remarkably persistent trait with those who've occupied the corner office in South Block. Good post. Best of Luck. Do check out my post too and vote if you like it Aye Zindagi!